In order to operate in the market of digital identities, a high level of trust needs to be built up. This level of trust is not built overnight and is earned by years of flawless execution and by demonstrating a governance model and culture aimed at avoiding conflicts of interest.  WISeKey is a Swiss-domiciled Company that is backed by the OISTE foundation and has partnered with international organizations, giving it a geo-political advantage that none of our competitors can match. 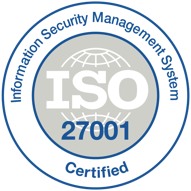 The Swiss domesticity and the collaboration with the OISTE foundation and international organizations to guard and manage its root keys gives WISeKey a unique trust model that has been accepted and adopted by leading international organizations, corporations and governments worldwide. The governance and heritage of our Trust Model is a significant barrier for new entrants in our target markets. 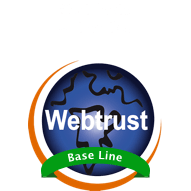 Based on OISTE, our Trust Model allows root certification whereby digital identities are technically recognised by today’s office applications (browsers and e-mail systems) and provides a governance model that ensures independence of geopolitical forces, capital and other forces. This heritage has been critical for both private sector and public sector organizations. 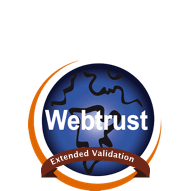 As part of its relationship with the OISTE Foundation, WISeKey is bound to promote the security of electronic communications worldwide which results in us seeking to ensure compliance with essential rights related to information protection online, such as privacy laws. 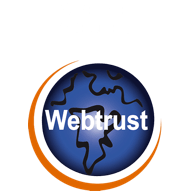 Today’s online world is plagued by the lack of respect for privacy rights which is having a substantial impact in day-to-day use of the Internet (e.g. Spam, email list buying/selling, etc.). Due to its trust model, WISeKey is in a very strong position to use this situation as an opportunity to become the company that protects privacy rights online whilst enabling people to maximize the use of the Internet. As a result of our partnership with the International Telecommunications Union (ITU), WISeKey has provided for a number of years e-commerce solutions based on the mass usage of certification by Internet users for authorized access to intranets and restricted web based sites. This approach changes the entire dynamics of how the Internet is used and will propel its transactional based usage into the 21st century. As the International Agency responsible for developing many of the key standards used today in communications, the ITU is ensuring that the highest open standards are implemented to enable all countries in the world to benefit from the introduction of true e-commerce, accessible to all regardless of origin. Other initiativers in which WISeKey is involved include the Digital Solidarity Fund, the Clinton Global Initiative, the WEF Partnering Against Corruption Initiative (PACI), the UN World Tourism Organization (UNWTO), the International Organization for Migration (IOM), the UN Commission on International Trade Law (UNCITRAL), the European Commission, the G8 Cybersecurity Working Group, OASIS (non-profit consortium driving open standards for global information society), Liberty Alliance (non-profit promoting identity-related international interoperability standards), DVB Project Office (Digital Video Broadcasting standards body).